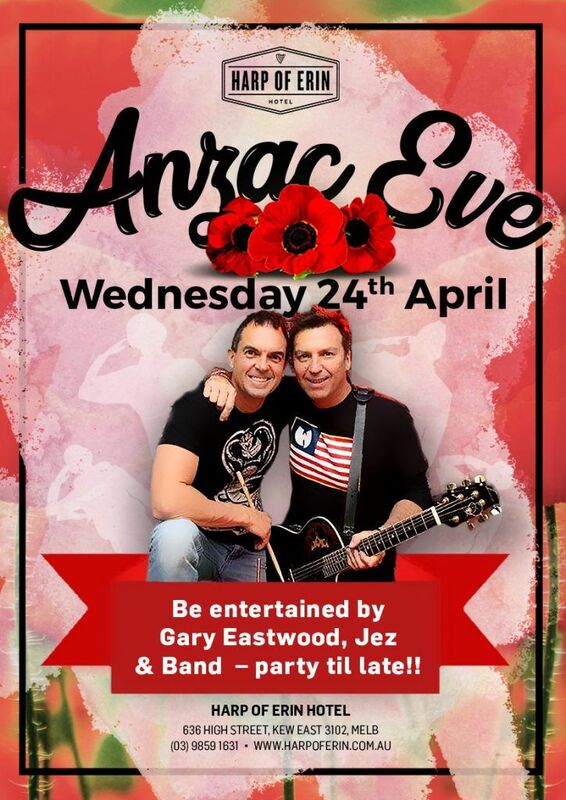 Best way to celebrate the Australia Day long weekend is with Gary Eastwood & Friends! Kick back on Sunday 27th January & enjoy the party! 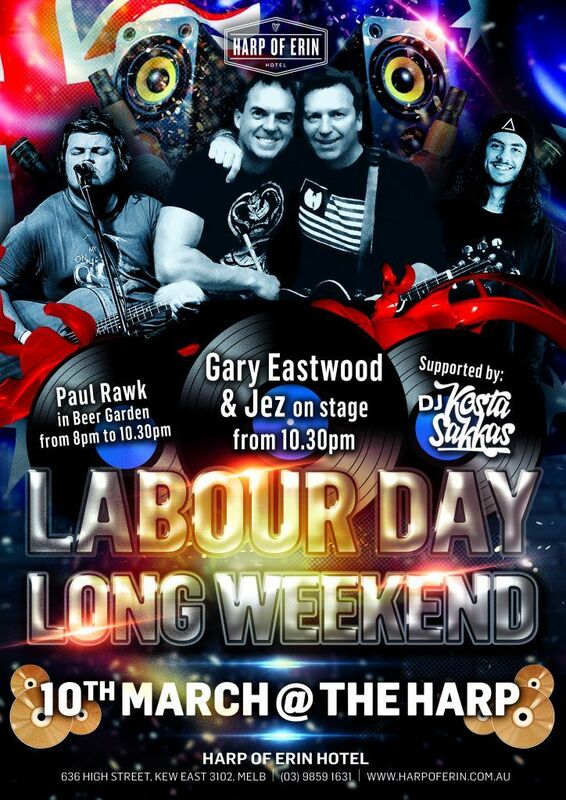 Celebrate the Labour Day long weekend @ the Harp! Paul Rawk in the beer garden early - followed by Gaz & Jez & supported by DJ Kosta Sakkas inside! 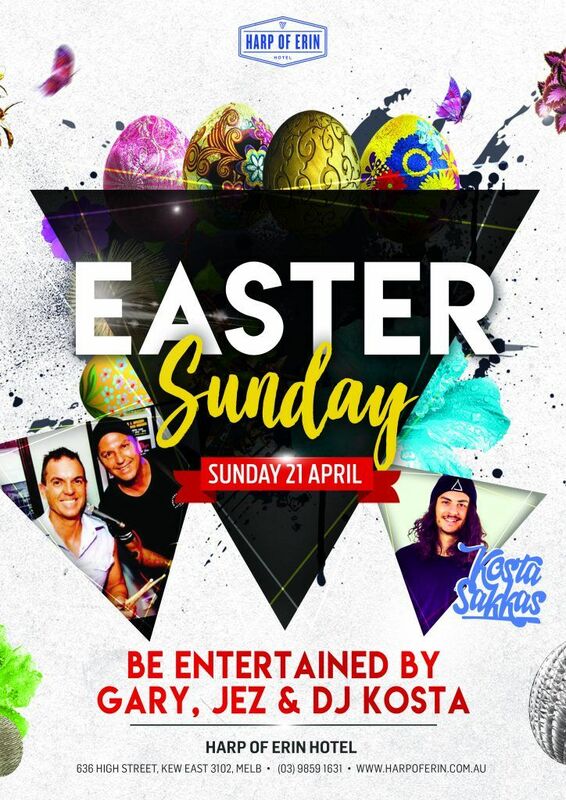 Only way to spend the Sunday before a public holiday is @ the Harp!!! Celebrate St Patrick's Day @ the Harp - the Guinness Bros playing over lunch - Joel Quinn in the beer garden followed by Gary Eastwood in the main room. Irish Meals Specials all day & $5 pots of Guinness! For April, Members' Night will be held on Thursday 18th April!